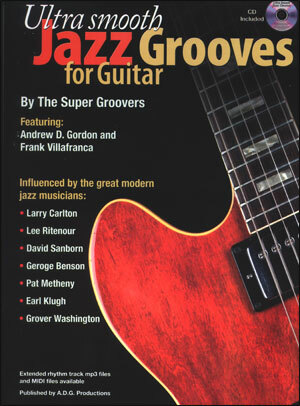 The smooth jazz grooves in this 46 page book feature a variety of contemporary rhythm section styles including R&B, Jazz, Funk, Top 40, Rock, Gospel, Hip Hop and Latin. 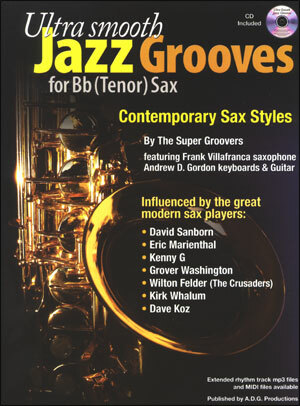 These stylistic influences are frequently associated with smooth jazz. 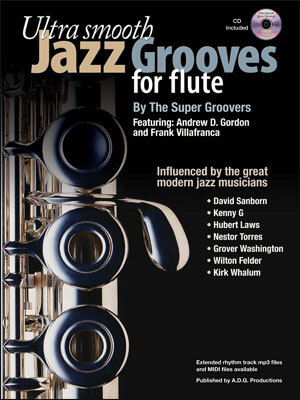 Popular artists in this genre include, The Super Groovers, David Sanborn, Eric Marienthal, Kenny G, Dave Koz, Tom Scott, Gerald Albright, Candy Dulfer, Wilton Felder, Boney James, Chris Botti, Chuck Mangione, Sade, George Benson, Peter White, Lee Ritenour, Earl Klugh, Larry Carlton, Jeff Lorber, Brian Culbertson, George Duke, Joe Sample, Spyro Gyra, Pat Metheny, Four Play, The Yellow Jackets and The Rippingtons. On each of the 20 tracks, the groove is separated into 3 melodic ideas. 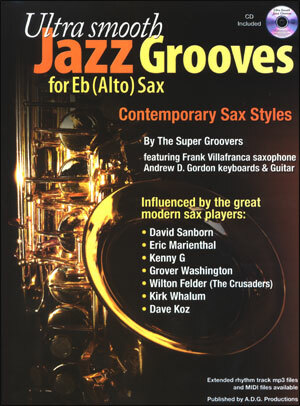 Each melodic idea (example or riff) is played first, by the saxophone with the groove, followed by just the rhythm section groove, without sax. The 1st example is usually the easiest, the 2nd slightly harder and the 3rd the most difficult. 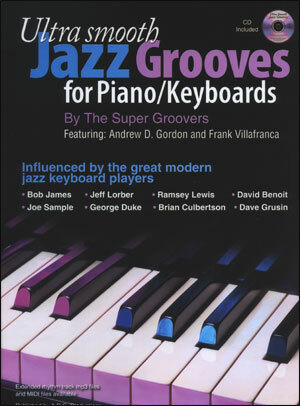 Versions for each groove are available as midi files or extended MP3 files where the rhythm tracks for each groove are recorded for approximately 2 minutes.